Blueberries have arrived from Peru in my local store. Next they’ll be coming from Chile, then Mexico. As spring moves north, they will arrive from Florida. Then in late spring they’ll be ripening in Georgia, after that California and Oregon. Washington will start shipping in early July. B.C. returns the blueberry favour by sending them south -all over North America. Blueberry production in BC has grown from 4.3 million kilograms in 1980 to 61 million kilograms in 2017. The fact Canada exports any produce at all may come as a surprise. We can’t compete with American growers for many other crops says James Vercammen, professor of food and resource economics at the University of British Columbia. Economies of scale, higher labour and land costs, give U.S. producers an edge. Things didn’t look so good at the start of the 2018 growing season. 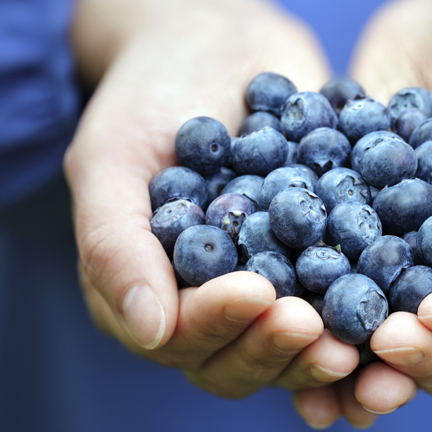 Blueberries, like one-third of the foods we eat, depend on pollination by bees. Monoculture crops that cover vast areas aren’t very nutritious for bees. Weakened bees are more susceptible to disease and the wet spring this year meant that growers were applying more fungicides –also not good for bees. That meant that owners were reluctant to send their colonies to blueberry fields. “It’s become less and less attractive, to the point where the beekeepers have decided not to bring thousands of colonies into the blueberries this year,” said Clark. But all the worry turned out to be for nothing. As the damp spring turned into a sunny summer, blueberries thrived and by the end of the year there was a glut of the crop. The lower prices were good news for berry lovers but disastrous for farmers. John Gibeau of the Honeybee Centre in Surrey was philosophical: “If it’s nice weather we do well. If it’s poor weather we do poorly. That’s farming.